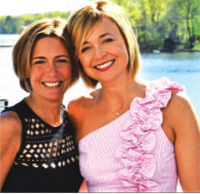 Six years ago, Karen Qualter Carolonza and Deborah Nettune Sittig joined forces with a vision: to provide unsurpassed communications support in a smarter, more cost effective way. This vision led to Green Room Communications. Karen brings more than a decade of corporate experience to Green Room. Her last job as Global Director of Public Relations for Becton Dickinson challenged her to create a PR department for the company’s first time in history. BD’s expansive international presence charged her with overseeing dozens of teams, interacting with product managers and reporting to C-level executives on a regular basis. Deborah is an award winning broadcast journalist who brings a decade of journalism experience and delivers media strategy, executive training and storytelling expertise to life science and pharmaceutical clients. She’s devoted to making clients’ stories better. Deborah is also the president and founder of the non-profit patient advocacy group Soft Bones: The U.S. Hypophosphatasia Foundation. Ken Schlager is Editor of New Jersey Monthly, the leading regional publication in the Garden State. In this position, he manages the editorial staff and is responsible for all editorial coverage in the magazine each month. Ken also oversees the magazine’s website (njmonthly.com) and serves as Editorial Director of a sister publication, New Jersey Bride. Prior to joining New Jersey Monthly, Ken was Executive Editor of Billboard, the newsweekly of the international music business. Ken spent 20 years at Billboard, also serving as managing Editor and Vice President of Business Development. His accomplishments include the successful launch of billboard.com, which today reaches more than 5 million unique visitors around the world. 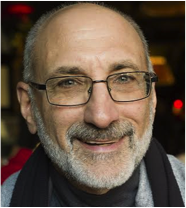 Ken previously served as Associate Features Editor of the New York Post and also held reporting and editing positions at Gannett Westchester Newspapers and the Fort Lauderdale (Fla.) News. He has a master’s degree in journalism from the University of Missouri-Columbia. Ken lives in Montclair, N.J., with his wife and their two college-age children. Lori Patrick joined the firm at its inception. She practices in the commercial litigation group with an emphasis on intellectual property, and contract disputes. Her practice concentrates on numerous types of claims including copyright, patent and trademark infringement claims, preparation and prosecution of copyright and trademark applications, and the supervision of trademark oppositions. In addition, Ms. Patrick provides general corporate counsel and litigates corporate claims. Lori has experience in all phases of litigation from discovery through appellate briefing and argument. She is experienced in practicing before the Trademark Trial and Appeal Board of the United States Patent and Trademark Office concerning trademark opposition and cancellation proceedings. She acts as corporate counsel to a number of businesses, consulting in areas that include corporate strategy, structure, copyright and trademark portfolio maintenance, and protection of trade secrets. Lori regularly presents seminars to educate attorneys, clients and the public on Intellectual Property issues and business ethics. She serves on the board of directors for several non-profit organizations and donates many hours of her time to pro bono activities. Lori served as judicial clerk for the Honorable Sybil R. Moses, Assignment Judge for the Superior Court of New Jersey, Bergen County for the 2002-2003 term. New York City Bar Association Bridge The Gap, Landlord Tenant and Introduction to Intellectual Property, New York, NY 2012, 2013, 2014Evidence and Ethics seminars Paralegal Association of New Jersey, Presenter, 2012, 2013 and 2014,Ethics seminars, South Jersey Paralegal Association, Presenter 2014.Promotional Products Association International, Las Vegas, Nevada Presenter, 2008, 2009, 2011, 2012, 2013,What to Do with Your Paralegal, New Jersey Bar Association Convention, May 17, 2013Copyright Pot holes and Speed Bumps on the Information Superhighway, LawLine, Webinar for Attorney CLE Credit, December 15, 2011Seton Hall University Copyright Symposium, Presenter, March 5, 2009, Presentation and panel discussion on copyright issues to college professors.